From the given name, you can expect meals to be served at any time of the day. Well, that is because owners of Brunch & Munch understand the human cravings very well. Though not open too long, it has already attracted customers like bees to nectar! 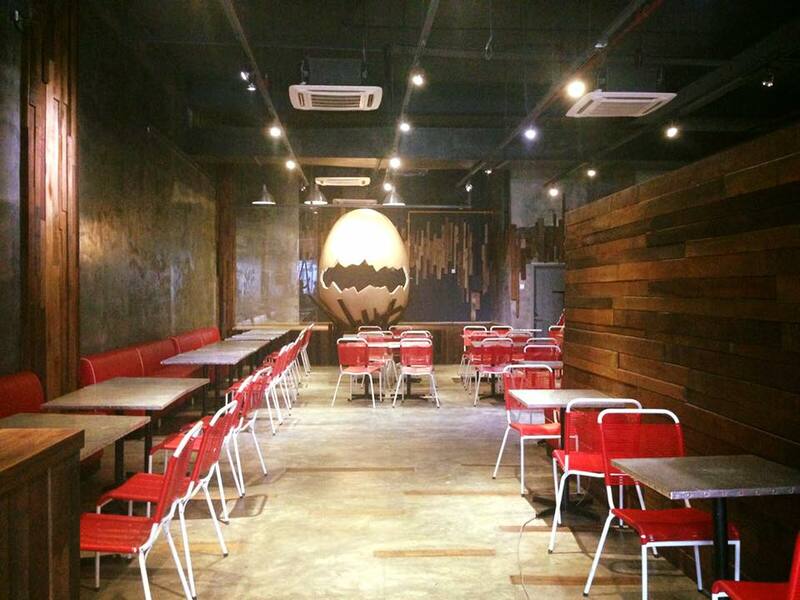 As per their comfortable interior décor with a very iconic egg, one can make a sure assumption that the place a focus on eggs in their servings and as well as a handful of pork. It's easily spotted with a huge signboard and interiorly, its cosy, spacious and clean. The menu itself has 2 divisions and is separated between the Brunch and the Munch menu. The Brunch consists of items that are enough to cater for heavier meals like brunch itself, lunch and even dinner. The Munch on the other hand contains starters, finger-food or smaller portions of food for those who just wants to soothe their itchy teeth. There are sets available as well therefore it makes decision-making much easier. 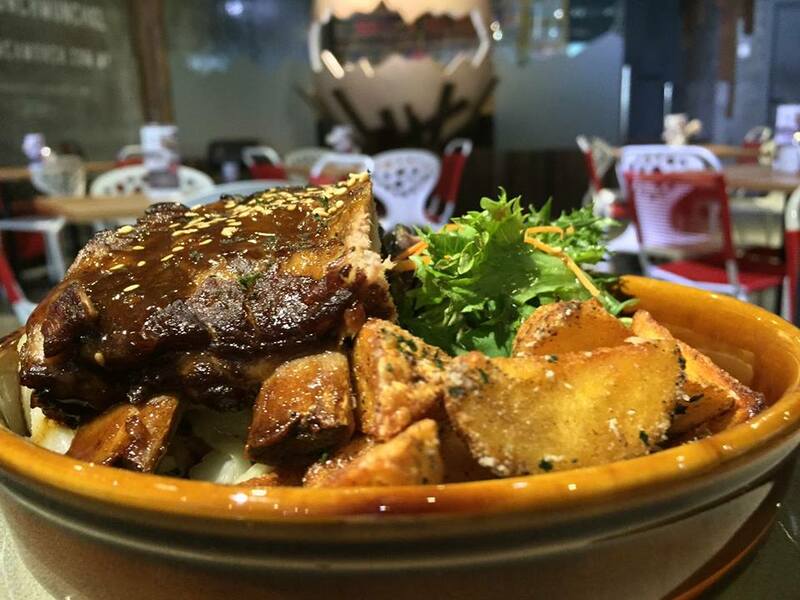 Like for example, the ribs is from the 'Munch' menu but it also can be served in a brunch manner with more pieces. This place is known for their burgers, eggs Benedict, salads and pastas. If you are already there for brunch, try out their B&M Rice Bowl set. 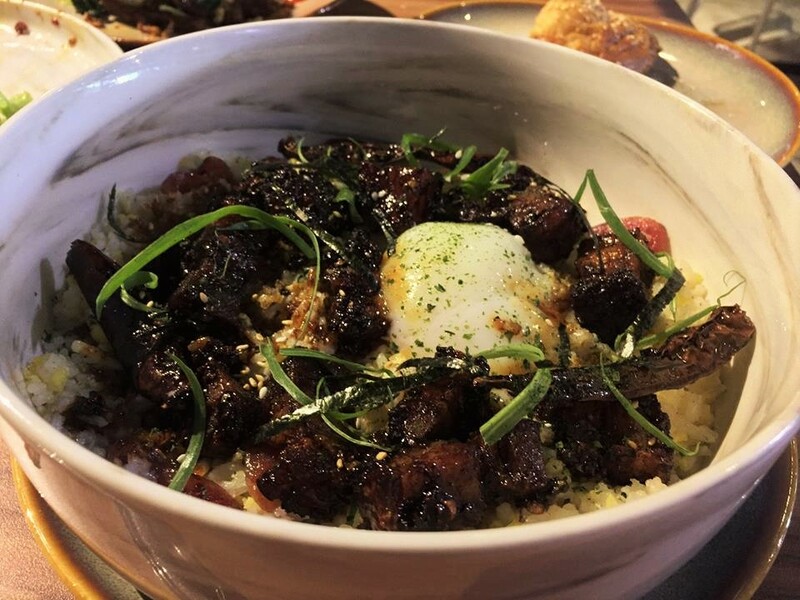 It is garlic rice with Chinese sausages and topped with tasty caramelised roast pork and a soft boiled egg. Another one is their Farmer’s Breakfast. 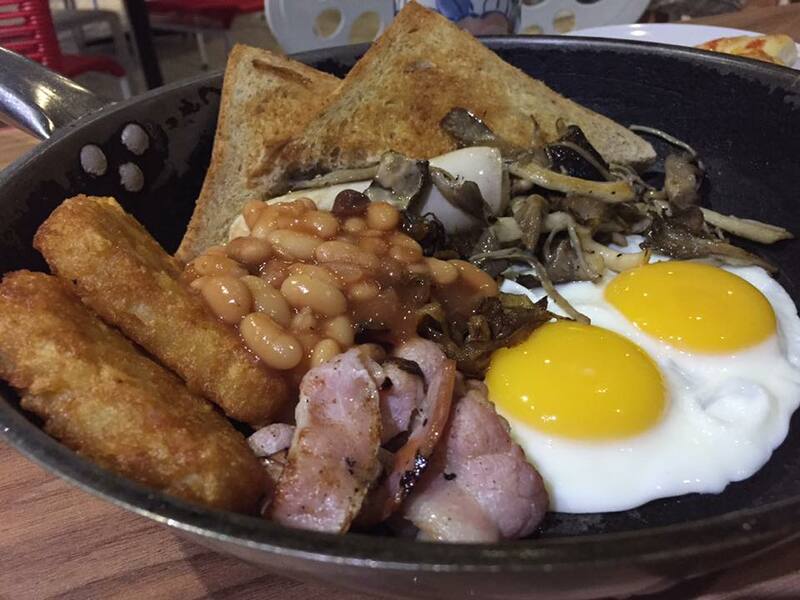 If you are familiar with Big Breakfast, this may turn out slightly different but you will still have your fair share of bacon and eggs (your choice of cooking) together with toast and some red beans; all served in a pan. 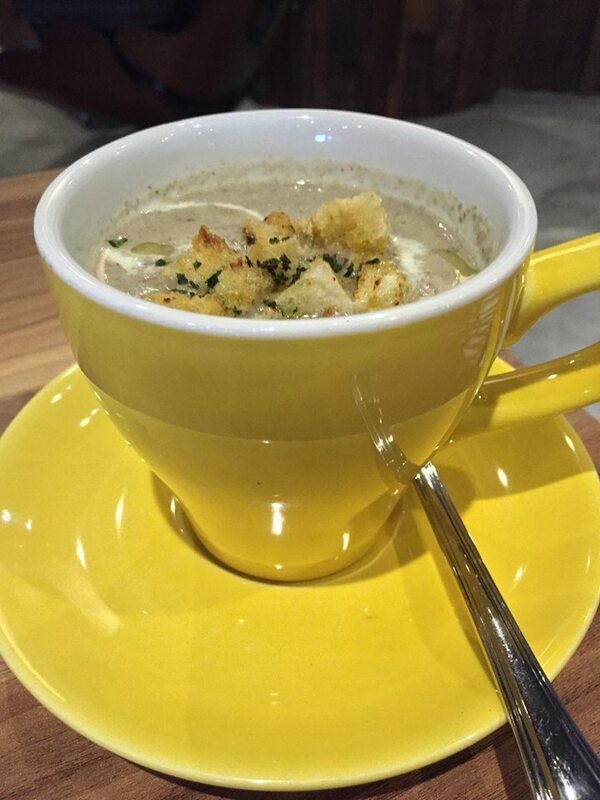 Their homemade soups are usually served in a cup which is somewhat of a cute and creative way to do so. 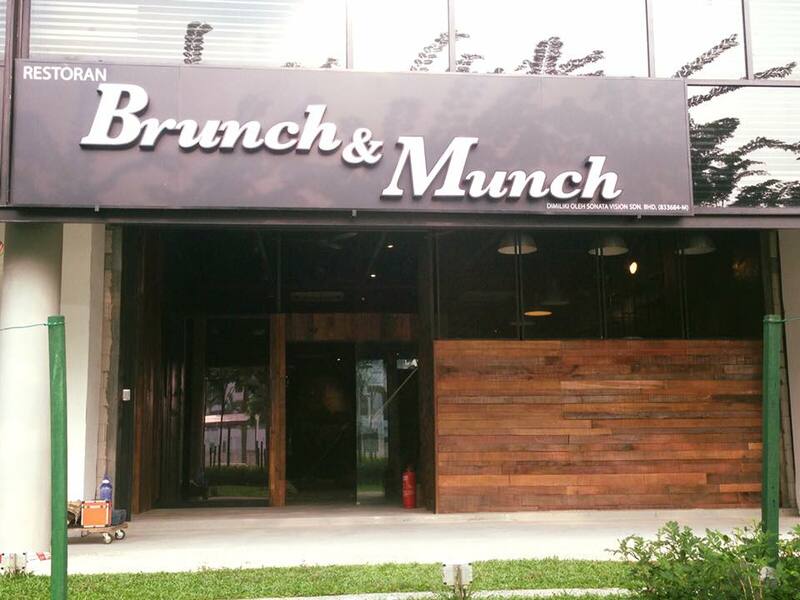 Besides the food, Brunch & Munch has itself a bar which provides casual drinks ranging from coffee to cocktails to wines. There is a time allocated for happy hours therefore all drinkers, rejoice! And on weekends, the menu will feature Chandon Sparking Wine, inclusive of snacks. An outdoor pet-friendly area is included somewhere near the entrance so you can bring your furry buddies along for a meal! Unfortunately, there is no outdoor seating but the seats indoor will keep you at this place for hours. So, if you want bacon, eggs and booze, you know where to go.